Everyone who’s into Google Adwords has heard about Dynamic Search Ads. However, this feature is often underestimated and yes, there are some pretty solid reasons behind, but if a marketer knows what to do it can turn into a really powerful advertising method. What you should keep in mind is dynamic search ads are a bit risky and shouldn’t be used as the only way of advertising on Google. Your website offers baby clothing and you set up a dynamic search ads campaign telling Google what descriptions to use and all the pages it can choose from. A user searches for baby boy winter hat. Google goes through the content of the pages you’ve given and seeks for the most relevant one. After finding such, Google scrapes the most suitable headline from the chosen page’s content that matches the searched term. Google chooses which page and headline to show. You get to see what search term has brought the user to your website and measure results. Now you understand why this might be a bit risky method of advertising with Adwords. Who can benefit from Dynamic Search Ads? Well, everyone who’s eager to test and find the most suitable way of increasing ROI. What you have to keep in mind is that the content of the webpages to be advertised should be optimized perfectly in order to avoid confusing the bot. The content should answer your target audience’s needs, eventual questions and search queries thus knowing your audience is a must for a somewhat successful campaign. Dynamic search ads are a real opportunity when it comes to e-commerce websites. We all know how tedious setting up an Adwords campaign might be especially when you have thousands of product pages which often change when a new product is offered or another one is out of stock. That makes the Adwords ad management pretty hard and the keyword research – a nightmare. Dynamic search ads can also be utilized by small businesses with limited marketing budgets helping in maximizing ROI as it basically removes the need to spend time and money on the tedious keyword research. However, the marketer should have the above in mind – the content of the pages should be optimized really well. Why should you utilize Dynamic Search Ads if it’s so risky? 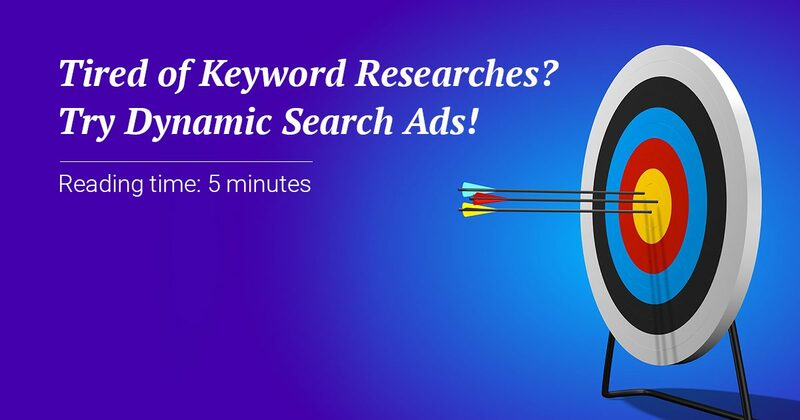 Save time on those tedious keyword researches. We all know how much efforts this takes. Hours spend on researching and sorting lists for each campaign which goes on forever. Of course, this won’t replace the entire process but it can definitely ease it a bit especially when it comes to guessing what search term a user may use to find what they need. Instead, Google chooses what and where to show compiling a list of all the search terms your ad had appeared on. You can use the newly found keywords to expand your current lists and optimize your other Adwords campaigns. Perfect for niche keyword researches. Especially when you don’t know where to begin. You can start or expand your niche keyword lists by letting Google do the hard work. You will know exactly what search phrases your target audience has used to find what they need. Get to really good and converting long tails. Usually the longer the search phrase the more specific the user is when searching for an answer. If they seek to buy something they’ll be searching for it very specifically. Additionally, they’ve already passed through the “researching”, “considering” and “comparing” phases and are a step away from purchase. So, this is also how you determine if a user is ready to buy. Find out how Google sees your website. Using dynamic search ads can show you some pretty good insight on how the bot sees your website’s content. If it starts to show your ads on irrelevant search terms then something is not right and you will need to optimize further and make it relevant to what your target audience needs. It is extremely beneficial for both SEO and your other Adwords campaigns. What are the risks of diving into Dynamic Search Ads? Before going into the whole Dynamic ads thing you should carefully consider some important points of the idea. Delegating most of the major work to Google might bring up some issues. Remember, you are not in full control of what’s happening since you don’t get to choose what headline and url to show for a certain query. The bright side is that you can somewhat affect it by optimizing your website’s content. You should also be really careful when compiling the pages for the feed. If the content of those pages is not optimized well an irrelevant page may pop up to a query, bounce the user away and lead to waste of money. On the bright side of things, you will know how Googlebot sees your webpages and improve them. We’ve already mentioned what other benefits this may bring. Running a dynamic search ads campaign needs constant monitoring in order to avoid waste of money. Underperforming ads should be stopped as soon as they’re determined as well as underperforming pages should be revised and optimized before putting them in the wild again. Dynamic Search Ads campaigns might be considered completely useless by some marketers. However, if you know how to optimize the content on your pages and there’s nothing bad in testing it. You might be surprised by the results. 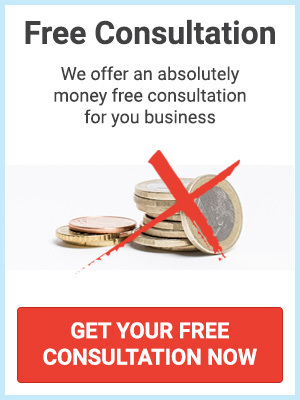 And if you have a properly built e-commerce website you might even love this method of Adwords advertising.